Reigning back-to-back Defensive Player of the Year Alana Beard has re-signed with the Los Angeles Sparks, the team announced Monday. The nine-time All Defensive Team selection and four-time WNBA All-Star has spent the past seven of her 13 seasons with the Sparks after beginning her career with the Washington Mystics in the 2004 season. 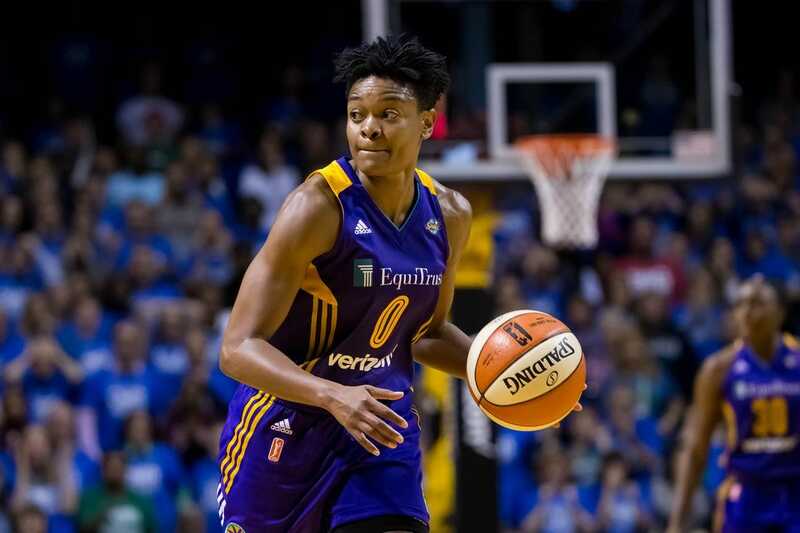 "Alana Beard is one of the greatest defenders this league has ever seen and is an exemplary teammate and professional," Sparks executive vice president and general manager Penny Toler said in a news release. "She is a huge part of our team's identity and I'm excited to have her continue her career here in Los Angeles." Beard, 34, was originally a No. 2 overall pick by the Mystics after starring for four years at Duke, where she left as the school's all-time leading scorer. While she was more of a offensive player over the first half of her pro career -- averaging double figures in points per game in each of her first seven WNBA seasons -- she has made her mark as a tireless defender. For her career Beard has averaged 11.6 points and 1.7 steals per game, ranking 25th all-time in scoring (4,688 points) and third in league history in steals (698). She was one of the club's key stalwarts of the 2016 WNBA title team.